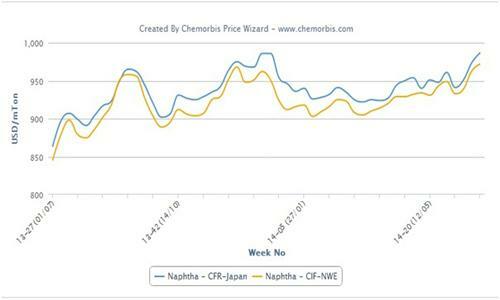 In the Middle East, March offers were revealed in the region’s markets last week with increases from February levels, according to ChemOrbis. This was no surprise to players given the very limited supply levels from Saudi producers, especially for PE. A major Saudi Arabian producer issued March homo-PP and PE prices for their local market with increases of $10/ton (SAR37/ton) and $20/ton (SAR75/ton), respectively. The increase amounts were found reasonable by players. “We were already anticipating hikes from the producer so, the announcements came as no surprise. However, the amount of increases is very reasonable and we feel pleased with it. We believe that the producer’s offers are competitive when compared with offers given in other Middle Eastern markets. Further hikes might even be possible as the month proceeds given the already tight supplies,” commented a trader. In order to track weekly developments in the Middle East’s PP market, please see our bi-weekly Polymer Digest Middle East PP Polymer Digest (For members only). Players operating in the United Arab Emirates commented that they received around $30-50/ton hikes for homo-PP and around $30/ton hikes for PE, so far. According to a trader, a major Saudi producer’s relatively competitive hike amount caused better buying interest in the market as buyers were rushing to secure some cargoes at those levels. “We anticipate better market activity over the near term since the sentiment appears to remain strong on the back of the more or less stabilizing crude oil prices and improving demand,” he added. A distributor also commented, “The producer hiked their prices on the back of their limited supplies. 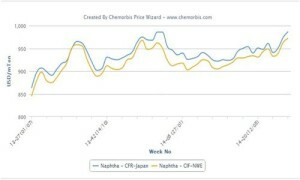 We see that overall polymer demand is improving but we struggle when trying to find supplies.” On another note, the local Emirati producer was anticipated to reveal their prices with increases, too, at the time of publishing. A Jordanian converter reported receiving $50-60/ton higher LLDPE film and $70/ton higher HDPE film prices from a major Saudi producer when compared with their February levels. The converter manufactures film products and reports seeing very good end product demand. Meanwhile, another converter reported receiving up to $100/ton hikes for March on the back of the short supplies, especially for HDPE film. “Most Middle Eastern producers do not offer HDPE and a major Saudi producer only offers LLDPE film to the market,” he further added. According to this buyer, their end product demand is not performing well but he admits that the trading activity is better. He ties this situation to the tight availability, which urges buyers to come back to the market to secure some cargoes before further anticipated hikes.